Unfortunately it looks as if the selfie is here to stay, so you might as well improve your selfie game. 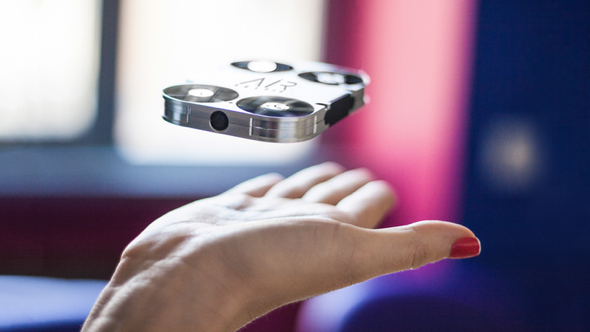 This tiny quadcopter hopes to take a few users away from the infamous selfie stick. 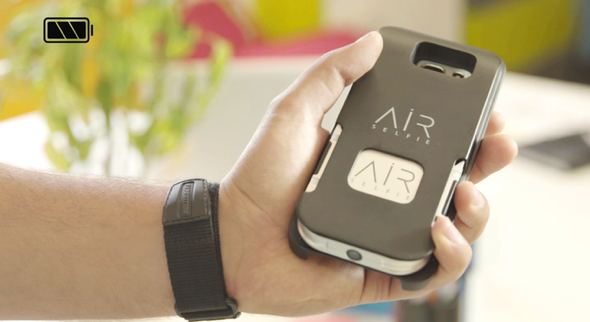 The AirSelfie is small enough that it fits inside of a cellphone case. Simply pop it out of the case and have it fly up to 66-feet away where its 5MP camera can take pictures or video. The pictures are stored onboard with 4GB’s of memory. Flight time is just 5 minutes which should be fine as selfies shouldn’t last that long. They just shouldn’t! 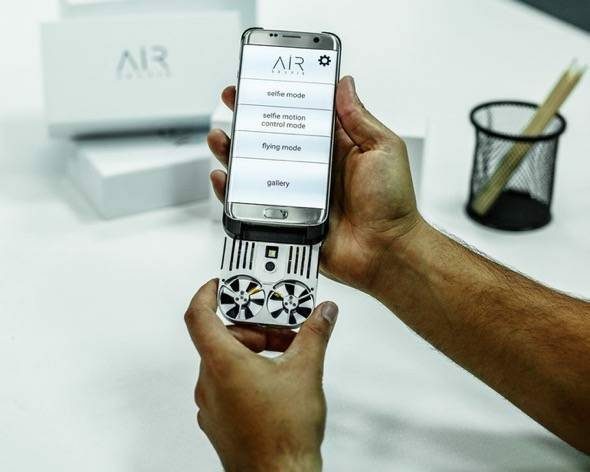 Selfie mode, the easiest one, with just two directional buttons to make AirSelfie move far or close to you. Selfie Motion Control mode, control AirSelfie in real time with the virtual joystick provided by App. Flying mode, where the device is held horizontally and replaces a classic controller. Once you’ve found the perfect positioning for the shot, AirSelfie stays still, thanks to the hovering function. 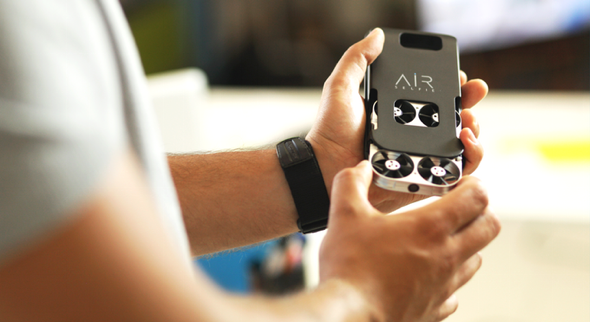 The AirSelfie is currently living at Kickstarter and hopes to start shipping by March 2017. More pictures and video after the break.